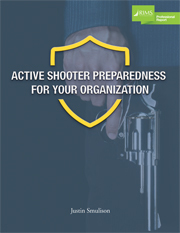 RIMS new professional report “Active Shooter Preparedness for Your Organization" highlights opportunities for risk professional sand their organizations to identify warning signs of potential attacks, best practices in communication and pre-event training, as well as strategies to implement a coordinated effort that minimizes injuries, property damage and uncertainties. 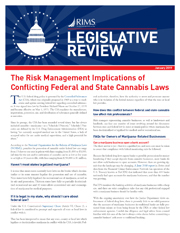 RIMS new professional report “The Risk Management Implications of Conflicting Federal and State Cannabis Laws" provides a brief description of the current cannabis laws in the United States and specifically highlights issues that businesses in marijuana industries, landlords, and landowners must be aware of. 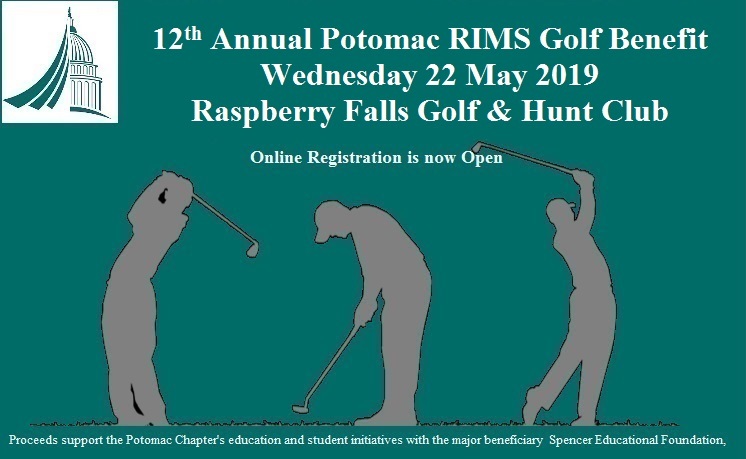 Author: RIMS External Affairs Committee. RIMS new professional report “A Guide to Cyber Insurance” offers risk professionals best practices for assessing the organization’s need for cyber insurance, as well as tips for completing the application and procurement processes. Additionally, with examples, the report explores cyber breach management and cyber litigation strategies. Author: Co-edited by Katherine J. Henry and Brendan W. Hogan from the law firm Bradley Arant Boult Cummings. Their fellow colleagues Dylan C. Black, A. Kate Margolis, G. Benjamin Milam and Emily M. Ruzic co-authored the report. 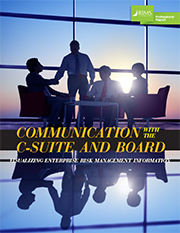 The RIMS report emphasizes enterprise risk management’s (ERM) ability to steer risk professionals through the challenging task of determining what information should be presented to decision-makers and how it should be communicated. 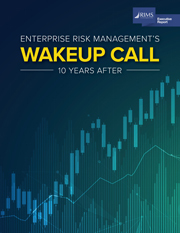 This RIMS report chronicles the diffusion and evolution of enterprise risk management (ERM), identifies new challenges for risk professionals to deliver solutions that create and protect value, and offers recommendations for integrating ERM in today's sophisticated business environment. 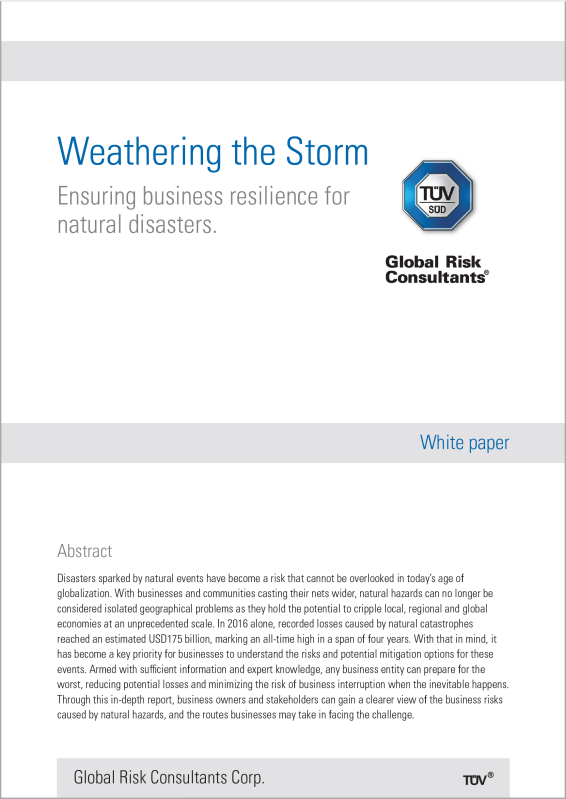 This white paper helps readers gain a clearer view of the business risks caused by natural hazards and the routes your business may take to face the challenge. 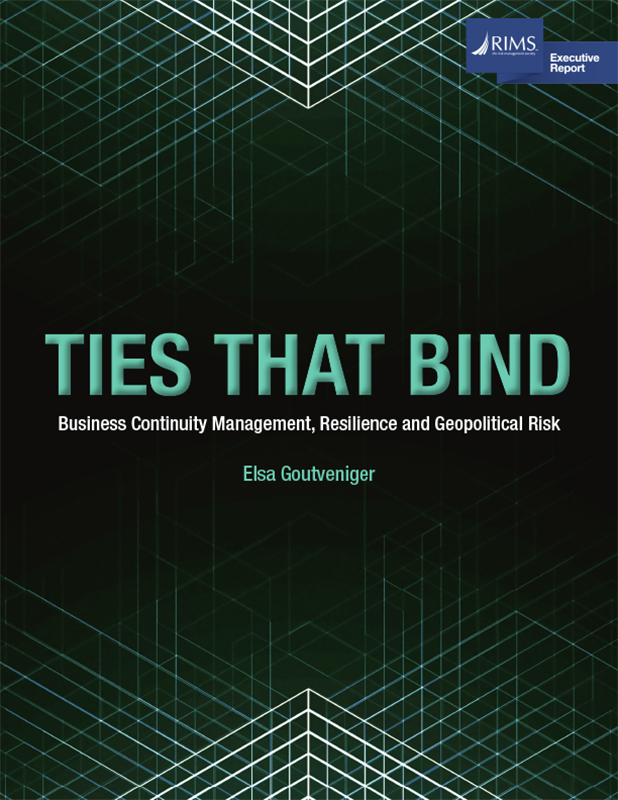 The report highlights the value of a proactive business continuity management system and its ability to support risk management professionals' capacity to address emerging risks including geopolitical risks. 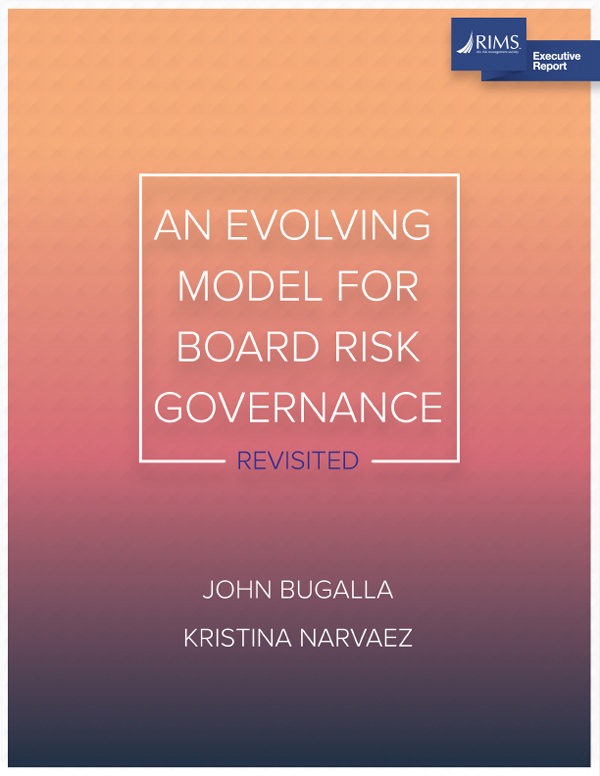 Five years since the original RIMS Executive Report, this revised version looks at the 30 companies that comprise the Dow Jones Industrial average and examines trends in risk governance and how those organizations are now advising their investors about the board's involvement in risk oversight and key actions to enhance enterprise-wide risk management governance. 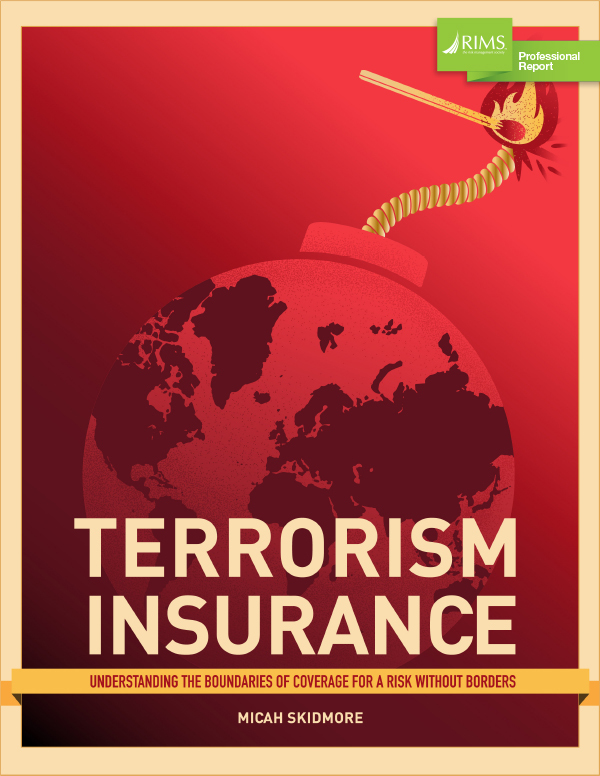 This professional report outlines insurance options and risk management solutions to better prepare organizations for the impact of a terrorist attack, as well as insight on negotiating coverage. 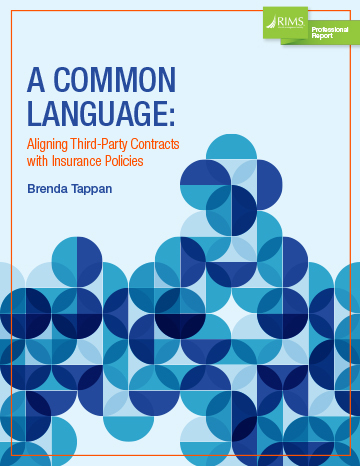 This professional report defines key insurance terms that should be understood by contract reviewers, as well as common contract clauses that impact the validity of both the contract and insurance policies. Among the topics reviewed in the report are indemnification clauses, waivers of subrogation, excess and umbrella coverage, among others. 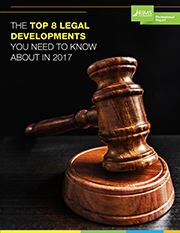 Recognizing the impact legal development can have on an organization's insurance program, RIMS' new Professional Report "The Top 8 Legal Development You Need to Know About in 2017" explores key insurance-related decisions in the United States. Cyber risks remain a top priority for risk management professionals around the world. The survey explores the value and effectiveness of cyber insurance, featuring insight from 288 practitioners from a wide-range of industries. 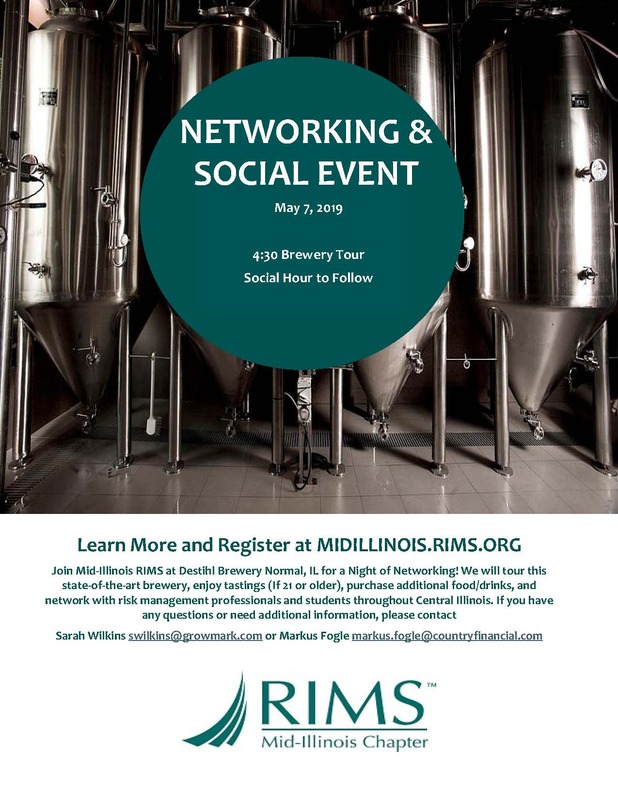 RIMS new Professional Report, "Cyber Protection: What to Do Before and After a Cyber Incident" walks risk professionals through the precautionary steps and post-incident responses critical effectively managing a data breach. The report highlights the importance of understanding business strategy and susceptible assets, employee training, cyber insurance, and developing collaborative relationships with internal stakeholders and external partners. 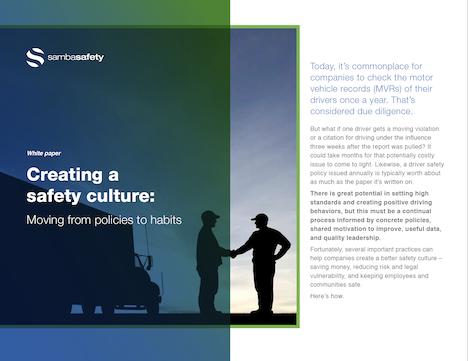 RIMS new White Paper, Creating a Safety Culture: Moving from Policies to Habits, explores how an organizational culture of safety, where drivers and leadership are invested in success, can be the best complement to monitoring technology. 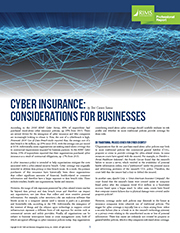 RIMS new Professional Report, Cyber Insurance: Considerations for Businesses, explores the potential for traditional policies to cover cyber events as well as first-party coverages, third-party coverages, and additional needs. 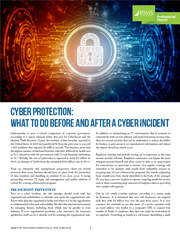 Additionally, the report provides a series of potential cyber insurance nuances that risk professionals must consider. 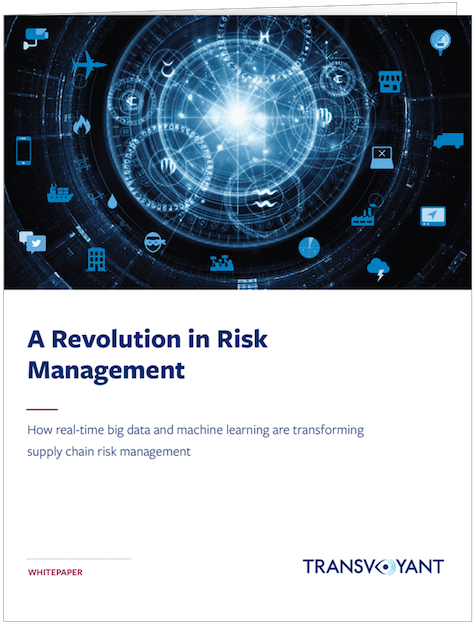 RIMS new White Paper, A Revolution in Risk Management, enables risk professionals to learn how real-time big data and machine learning are enabling transformative new capabilities for risk detection, mapping, visibility, and fast response. 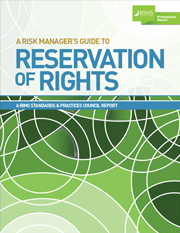 RIMS new Professional Report A Risk Manager's Guide to Reservation of Rights guides risk professionals in understanding the potential implications that reservations of rights letters pose. 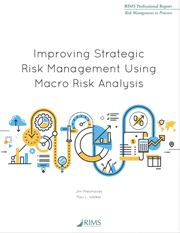 RIMS new Professional Report Improving Strategic Risk Management Using Macro Risk Analysis defines the macro risk analysis process and its ability to help organizations better understand economic trends. 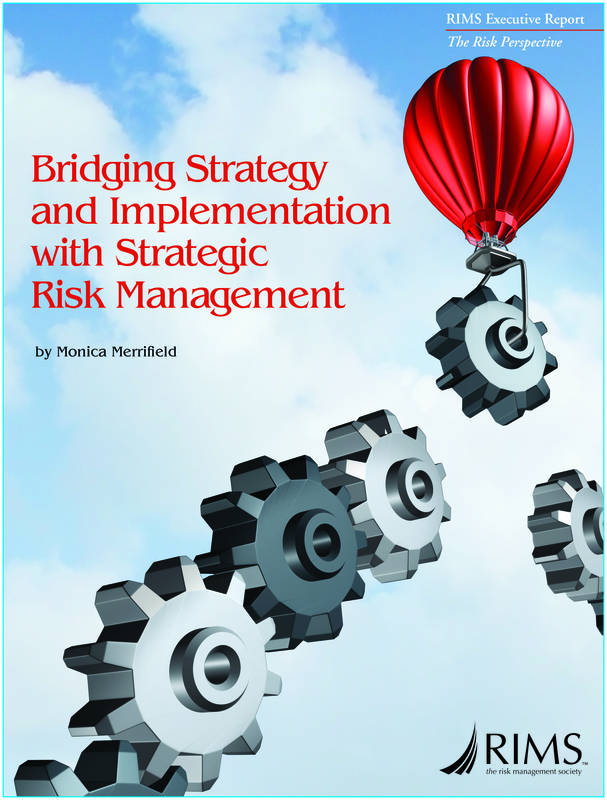 RIMS has released a new Executive Report, "Bridging Strategy and Implementation with Strategic Risk Management." The report explores best practices for understanding strategy and enhancing its implementation and performance. 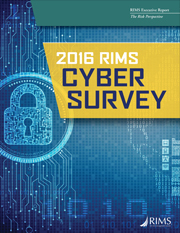 The second annual RIMS Cyber Survey allows practitioners to benchmark the management of cyber exposures. 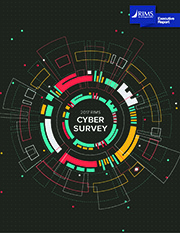 Survey questions review the transfer of cyber exposures, cyber insurance policies, organizations’ and risk professionals’ cyber coverage spend, as well as their opinion on government involvement. This report provides a guide for risk professionals assessing their organization's political risk. 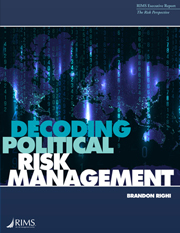 It defines political risk and explores top concerns for organizations as they expand globally, the characteristics of these risks, mitigation strategies and the insurance market. 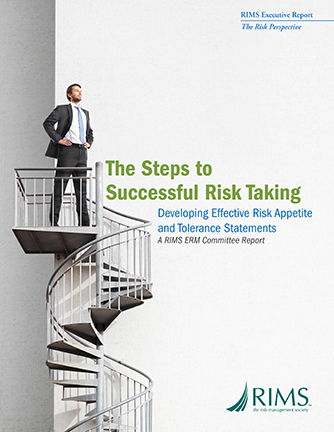 The RIMS Executive Report explores characteristics of a well-defined risk appetite statement and connecting such statements to strategy. 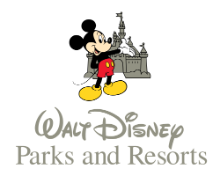 It features real-world examples of various organizations' statements and the processes they used to implement them. 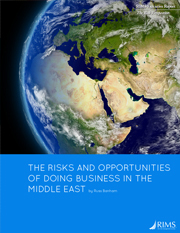 The newly released RIMS report explores the importance for risk professionals to administer appropriate measures of due diligence prior to embarking on business ventures in the region including assessing financial exposures, corruption, and compliance issues, cultural differences, and strategic partnerships. 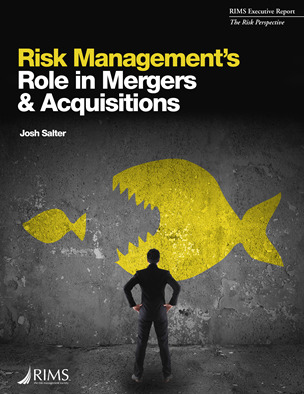 The report explores goals, responsibilities and the value of collaboration between those charged with pursuing new opportunities and risk professionals. 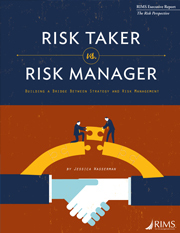 Best practices from leading organizations offer strategies for risk pros to develop relationships with both strategic and operational stakeholders.